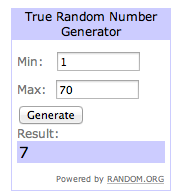 Random Number generator has spoken and we have a winner! Big thanks to everyone who played! 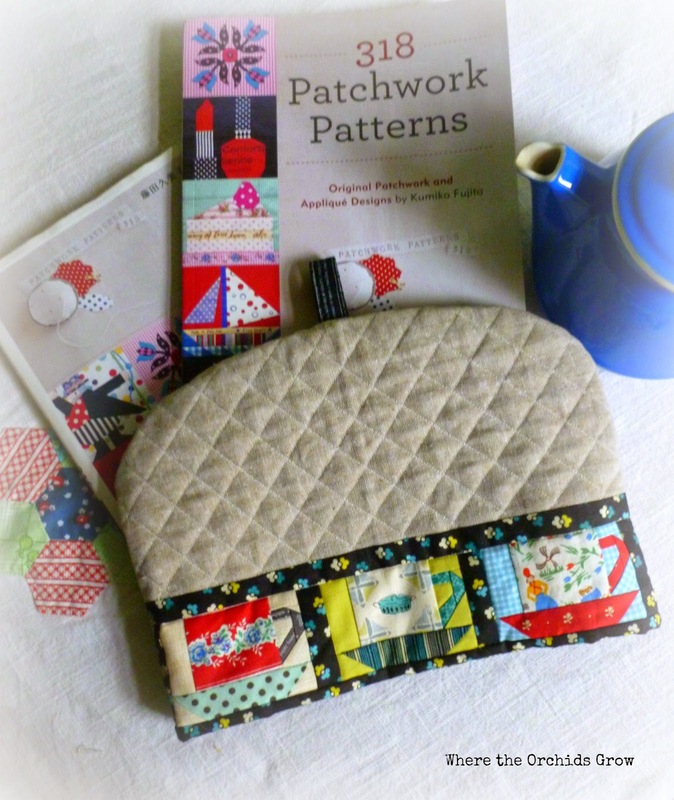 Hi, and welcome to my stop on the 318 Patchwork Patterns blog hop! 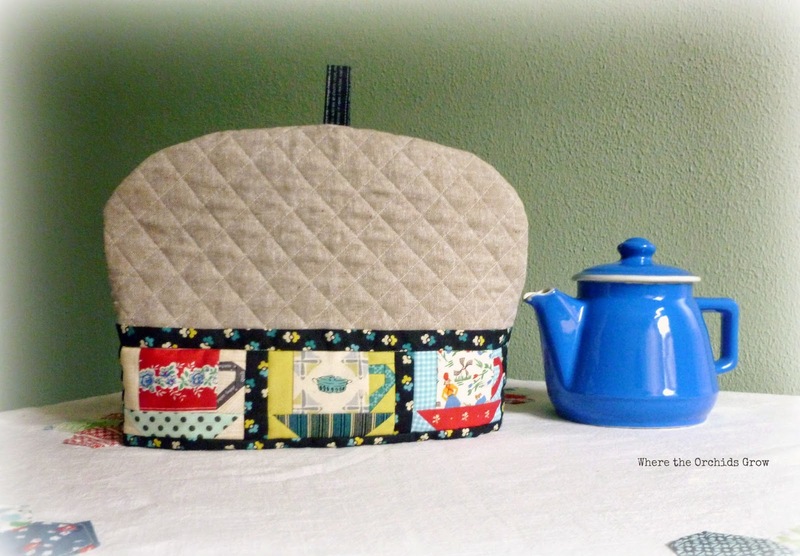 For my project I chose block #9 from the tea time collection to make this little tea cosy. I enlarged the block by 125% to make the cups 3" finished. 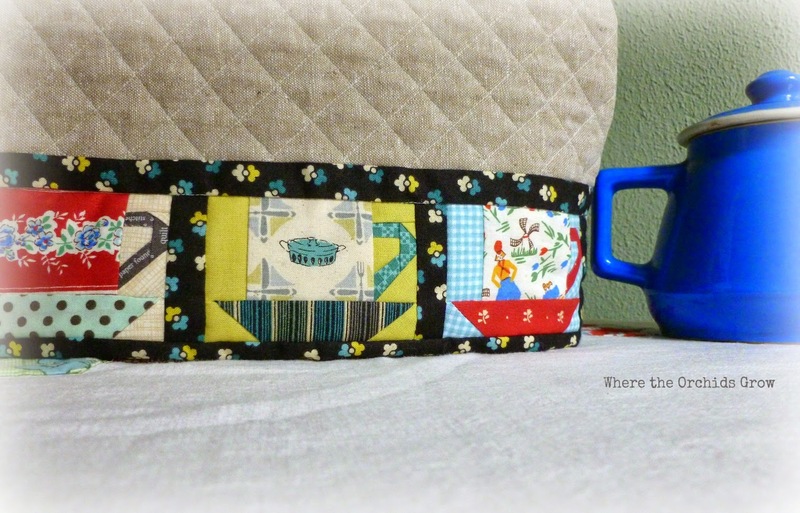 I didn't finish each block to be 3" square but added a narrow border instead framing each cup. 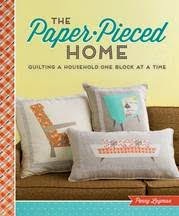 If you are looking for some guidance on freezer paper piecing and how to prepare your pattern for sewing do check out Kerry's blog she wrote a great tutorial. I used both freezer paper and foundation paper techniques to construct the little tea cups. I prefer freezer paper for fussy cutting as I can hold the piece up against the light and see exactly what my finished cup will look like. 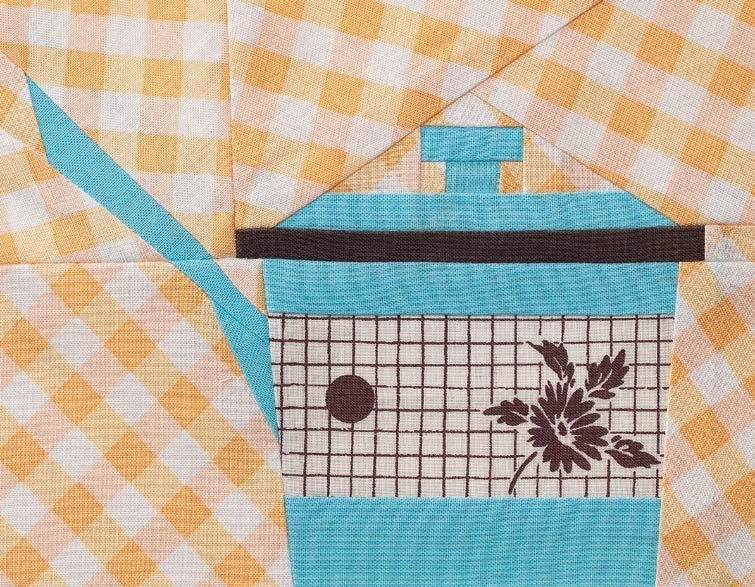 For the tiniest pieces like the handles on the cups I prefer foundation paper piecing to get a neater result. There's no rule that says you can't use both techniques for one block I do it all the time! 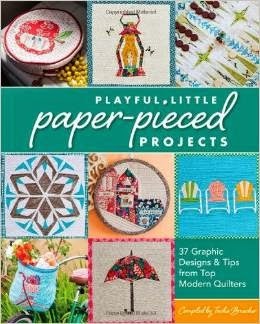 Just remember to reverse your pattern for foundation paper piecing. 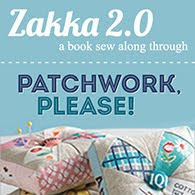 World Book media have kindly offered to give away a copy of 318 Patchwork Patterns to one lucky winner! The give away will be open to anyone anywhere but do make sure there is a way for me to contact you should you win. Comments on this post will be disabled some time around midnight November 11th. The winner will be chosen randomly and be announced here on November 12th. 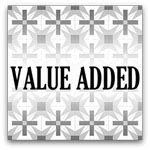 Give Away comments are now closed! 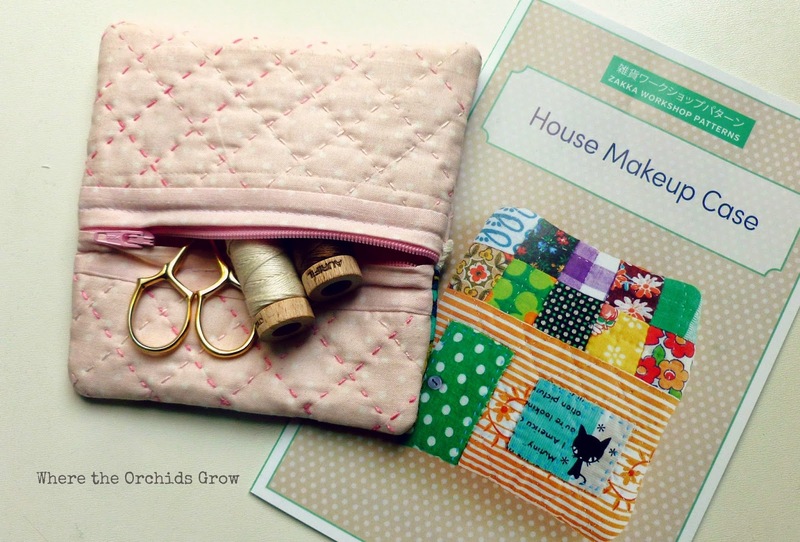 Before you leave, don't forget to check out all the other lovely projects on the blog hop! 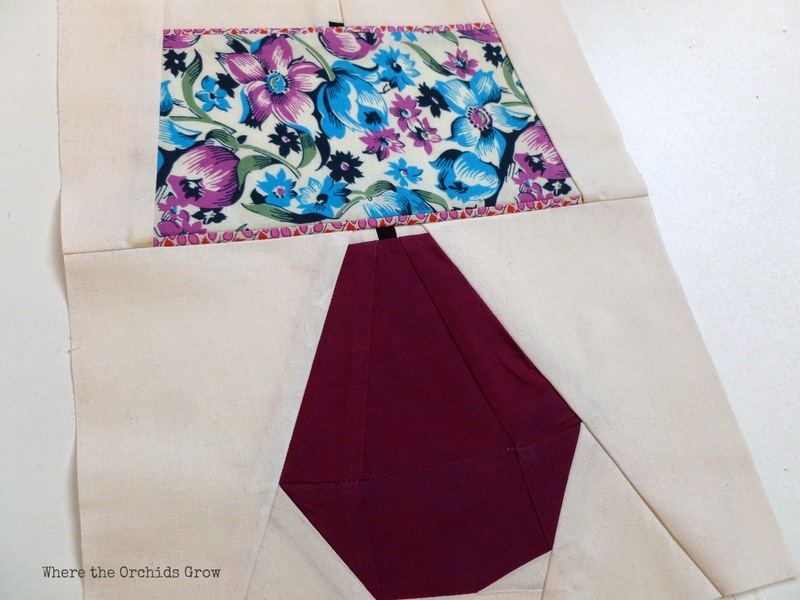 With the summer holidays in full flow I have only little time left for sewing. So I decided to whip up a few quick and easy summer skirts. I used the circle skirt app from By Hand London to calculate my waist radius and adjusted the length of each skirt to my own preference. I followed pretty much the same recipe for my next skirt only this one is a 1/4 circle in a lighter weight blue floral jersey. Sooo comfy! 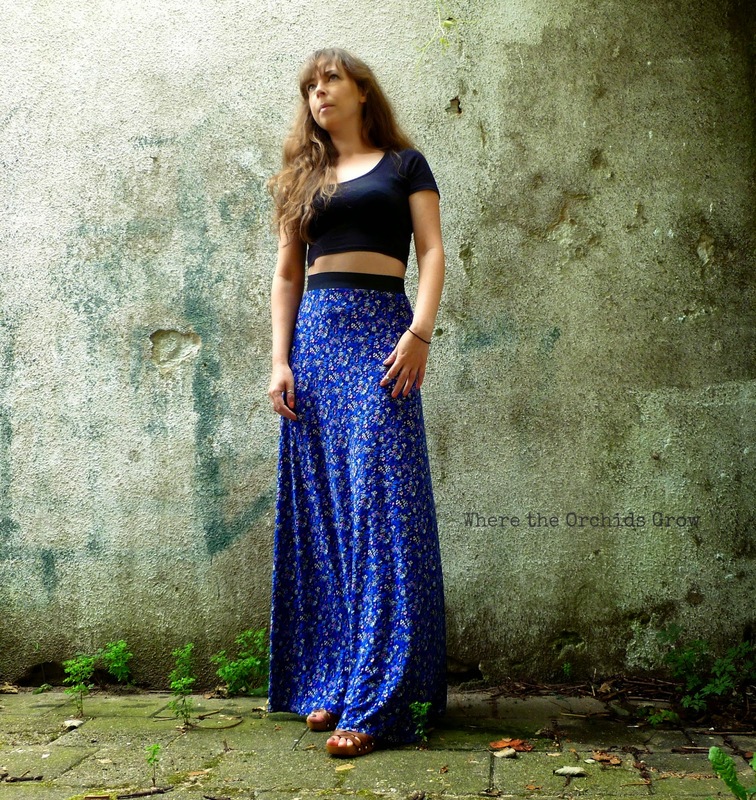 Next up is a maxi 1/2 circle skirt in a cheap floral poly blend. For this skirt I had to add a regular waistband and an invisible zip. It was cheap fabric mainly bought because I loved the print and it draped nicely but it was a nightmare to sew with. It kept snagging, would not submit to even the least amount of ironing, the waistband interfacing did not stick and after three failed attempts at properly hemming the skirt I got fed up and just used my overlocker instead- meh. 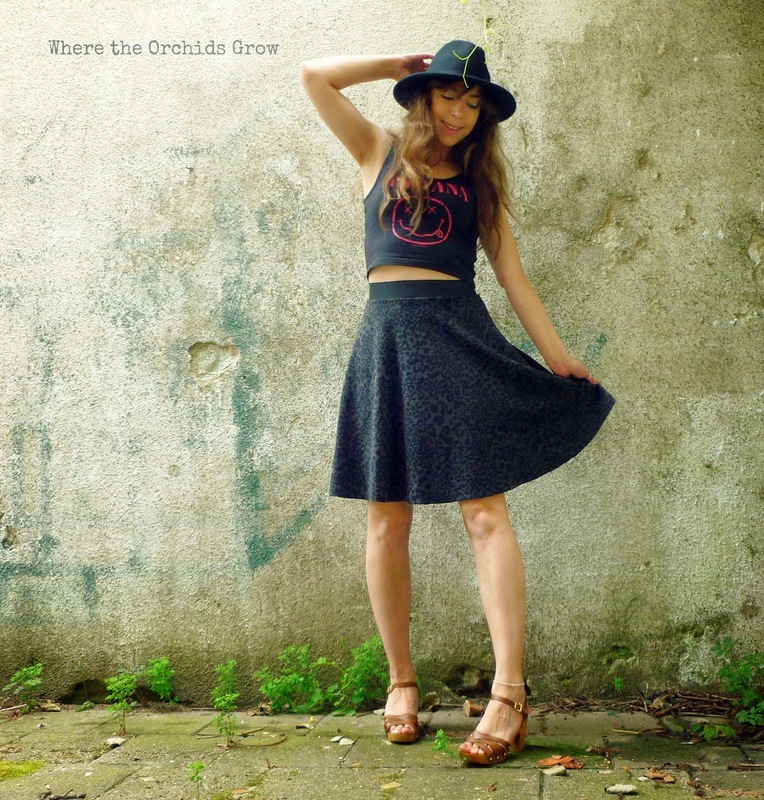 I still like it as a handmade alternative to a skirt bought from one of the cheap chain stores. But this one most likely will only survive one summer. 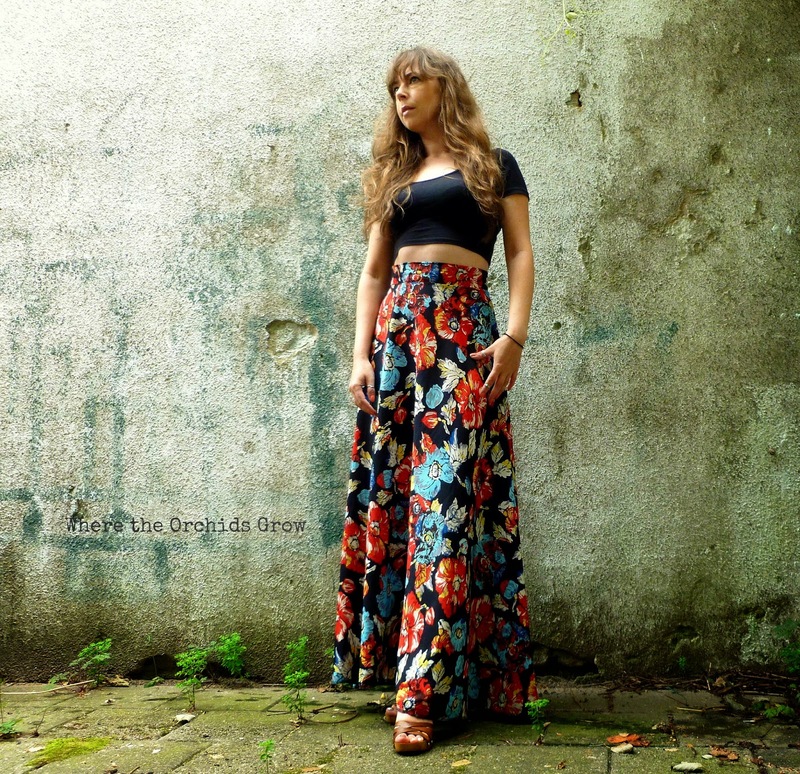 Must try a half circle maxi again in nicer fabric next time as I really do enjoy wearing a long flowy skirt! Hope you are all enjoying a lovely summer! 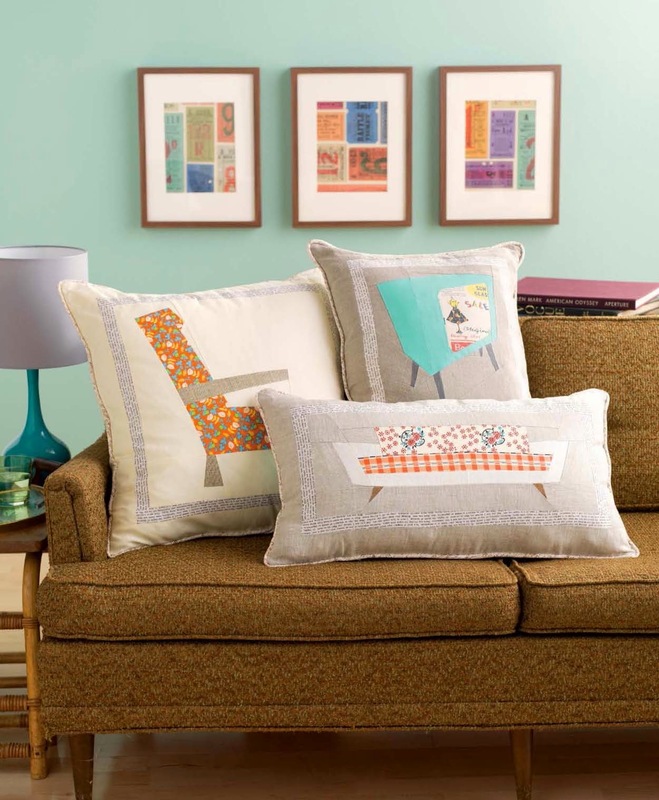 A little while back I was contacted by the lovely Lindsay from Zakka Workshop Patterns. 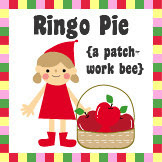 This publishing company translates popular Japanese patchwork patterns into English making them more accessible to us non Japanese speaking folks. Of course I jumped at the opportunity to try out some of their patterns for myself, all of the projects looked super cute! I made the house make up case. I'm usually much too impatient when it comes to following the written instructions on a pattern, especially when it comes with pretty colourful diagrams like these do, I tend to jump straight in and start sewing. But since I was to leave a review I made sure to follow the step by step instructions carefully. 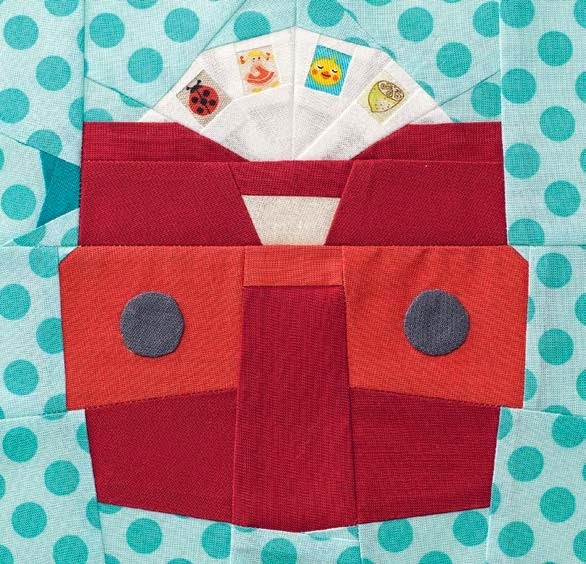 The written instructions combined with pretty diagrams that include all the measurements make constructing this cute little pouch a breeze. 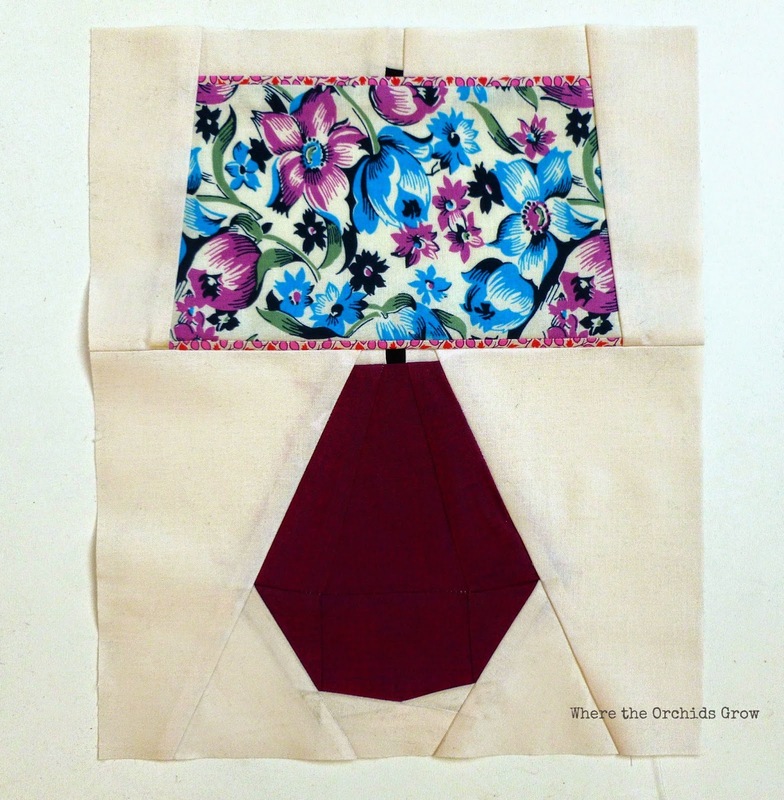 There are templates included for all the patchwork pieces which can be traced onto the fabric or copied onto freezer paper for reuse. 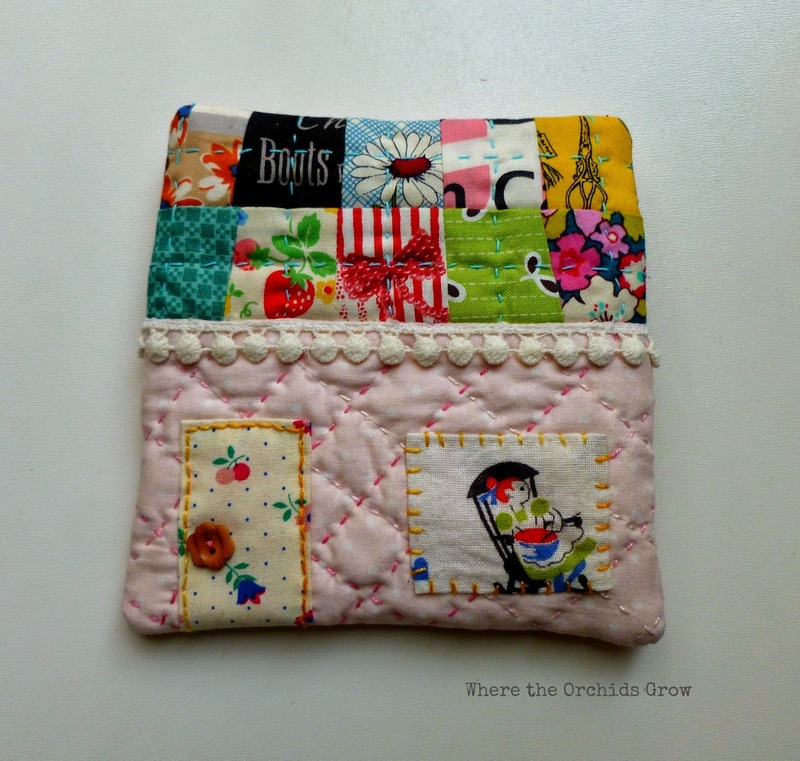 There is a ton of hand sewing and hand quilting involved which makes this little pouch a perfect portable sewing project for summer. The patterns are available for purchase here. 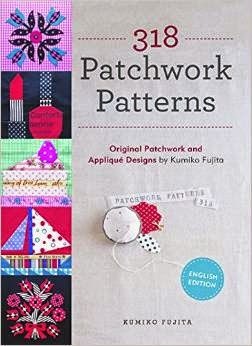 Keep an eye out for Zakka Workshop Patterns if you have been looking high and low for Kumiko Fujita's long out of print Patchwork 318 as they will be reprinting the translated version sometime in the future! !